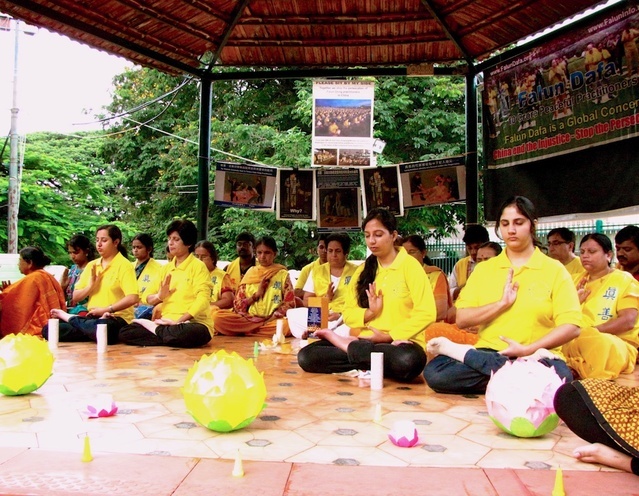 Falun Dafa practitioners of Bangalore came together on July 20th at a local practice site to do the exercises and study Falun Dafa teachings together. 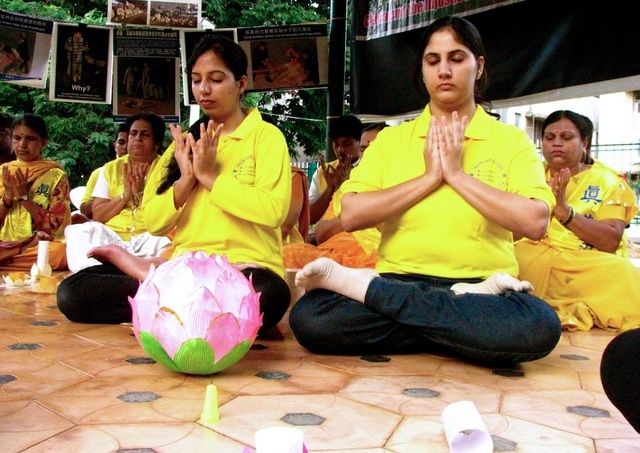 The event marked 14 years since the persecution of Falun Gong began in China. 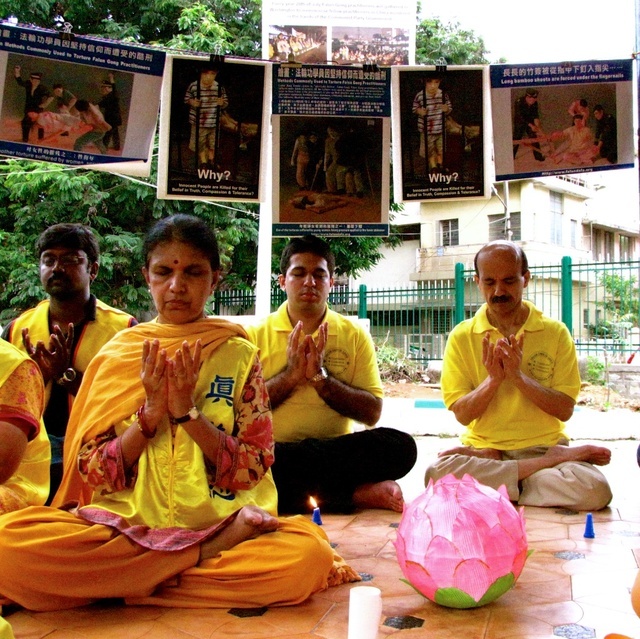 They also held a candlelight vigil to remember the Falun Gong practitioners who lost their lives in the persecution. 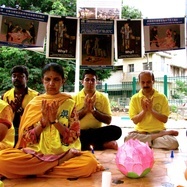 A practitioner shared that during the event she felt the spirit of practitioners around the world coming together to support the practitioners who are being persecuted in China. Many participants said they experienced particularly high energy while doing the exercises as well.